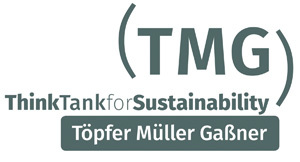 At TMG Töpfer, Müller, Gassner - ThinkTank for Sustainability, we work to empower sustainability transformations. Together with stakeholders from science, civil society, politics, and the private sector we develop innovative strategies for the implementation of sustainable development agendas. Together with national and international stakeholders we work to foster sustainable development, natural resource management, agriculture, and energy systems. In our transdisciplinary research project "Accompanying research on soil as complementary instrument for the implementation of the special initiative One World without Hunger” with focus on topics, such as land rights, gender and up-scaling of successful approaches, and case study work in Benin, Burkina Faso, Kenya, Ethiopia, and India. to support our team from January until June 2019. Tasks include literature research, support in preparation and writing of scientific and non-scientific publications, and content management of our webpage as well as support in preparing international events, such as Global Soil Week 2019 (www.globalsoilweek.org). Please note: The internship will be remunerated and is not a mandatory internship. The starting date is January 7, 2019. Interns must be available 39h per week (85-100%) until June 30, 2019. TMG Research gGmbH is an equal opportunity employer. Applications including a cover letter, CV and references should be submitted in one PDF document (max. 5 MB) until December 5, 2018 to Ms. Anna Günther. Please submit your application only online via the application form and refer in your application to the website the job ad was published. The interviews will take place between 10 & 14 December 2018. For further information or details on this position, please consult the website (www.tmg-thinktank.com) or contact Ms. Anna Günther via email (anna.guenther@tmg-thinktank.com) or phone (+49 (30) 92 10 74 07 – 45) for details on the application process.